Getting ready to head back to school my daughter made sure I knew that she needed some flair to add to her backpack. She wanted to make sure she was looking cool when returning to school. 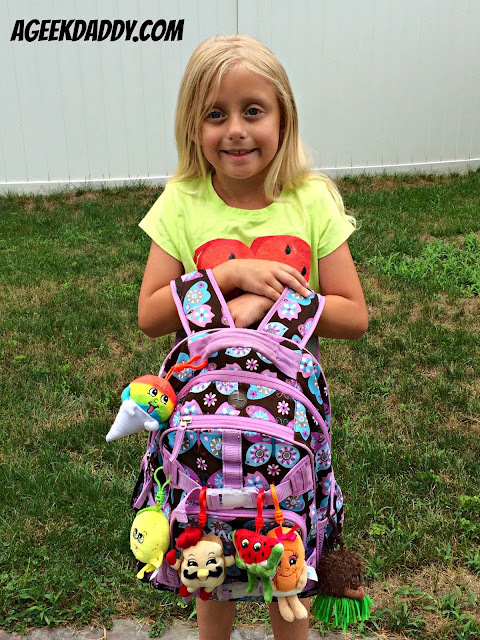 All the kids at her school now decorate their bags with pins, key chains, and clip on plush toys and of course she didn't want to be left out. So we let my daughter brighten up her backpack with some Whiffer Sniffers. These fun plush caricatures of food aren't just amusing to look at but also are great to sniff as they are slightly scented to smell like the things being portrayed. Willy B. Chilly the snowcone has a mixed fruit scent while Ben Sizzlin smells like BACON!!! Other themes include coconut, french toast and watermelon. The scents on these clips last for about a year but they are designed to only be noticeable up close so as not to be prominent or overpowering when carried around. To check out the full variety of Whiffer Sniffer clip on plush available, visit WhifferSniffers.com. You can purchase Whiffer Sniffers individually either in clear sealed tube that identifies the character or by getting a mystery pack where you can get a randomly selected plush which you won't know what you have until the package is open. 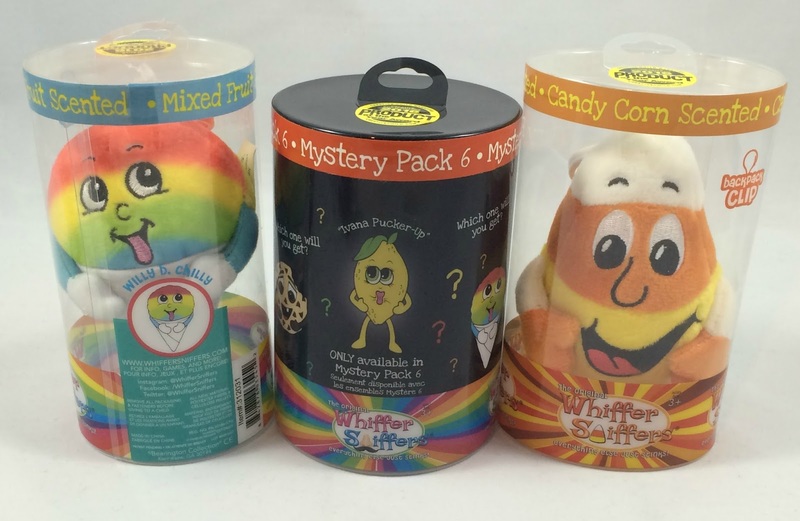 In addition to the fun of being surprised some of the Whiffer Sniffers such as apple pie, french toast, and popsicle are only available by finding them in a mystery pack. 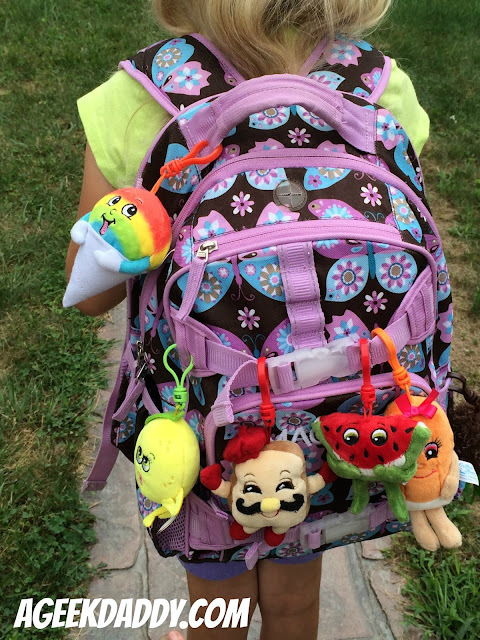 The whimsical designs and variety of smells incorporated into these plush backpack clips have delighted my kids. Whiffer Sniffers release new product in waves and retires some of the older versions after awhile so you should be on the lookout and pick up the ones you are really interested in. If you are looking for something unique to help a child personalize his or her school backpack check out Whiffer Sniffers. CLICK HERE to find a retailer near you who sells Whiffer Sniffers. They can also be purchased online at WhifferSniffers.com.